HAVE YOU CONSIDERED THE BENEFITS OF KNOWING EACH TEAM MEMBERS BEHAVIOURAL STYLE? People are different and each person responds differently to the same stimuli. There is no right or wrong way however it’s important to understand the differences between people for effective team performance. Behavioural style determines the way we work, act and communicate and good communication is most important in high performing individuals, teams and organizations. Good communication comes from understanding your own behavioural style as well as the style of others. This allows you to adjust or modify the way you communicate to suit each individual. Dominant – this style builds confidence in a team and motivates others to give 100% and work hard. These individuals are naturally a ‘driving force’ – they get things done! Influencer – this style builds flexibility in a team and motivates others to see the big picture. These people are naturally skilled at establishing relationships and know the best way to nurture them. Steady – this style builds team cohesiveness and harmony. These individuals are naturally supportive and helpful. They are usually the peacekeepers in the team – often encouraging everyone to get along. Conscientious – this style builds team quality and excellence. These people naturally motivate others to perfect their skills and accuracy. They set the bar high and push the team to uphold high standards. When building an effective team, personal behavioural traits are just as important as the skills each member brings to the table. When skills and personality are balanced, the team will be more dynamic and able to meet business goals easily. behavioural differences can often turn into flawed communication, dysfunctional relationships and conflict so understanding how to bridge the gap is important. each behavioural style have some tendencies which can be detrimental to business. These need to be managed accordingly – a one size fits all approach is not always the answer. 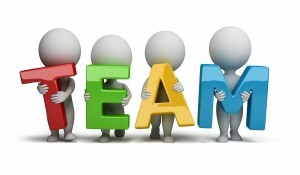 Do you understand team members behavioural style? Do you know what important traits are missing from your team? There is no ‘one’ best behavioural style, and it is not always your own personal style that is important. Recognising the behavioural style of others so that you can modify your behaviours for more effective interactions is the key to productive and happy relationships. If behavioural or personality differences are negatively impacting your business – it’s time to learn more!